The history of Oktoberfest dates back to the year 1820 when Bavarian Crown Prince Ludwig I decided to marry Saxony Princess Therese and organized a great holiday on the 12th of October. He invited all the residents of the city to join the celebration. The holiday was repeated at the same date the following year, and very soon it became a tradition. The most common question I usually get asked is why Oktoberfest is celebrated in September. The date of the festival was changed near the end of the 19th century so it can be celebrated while it is still warm out. 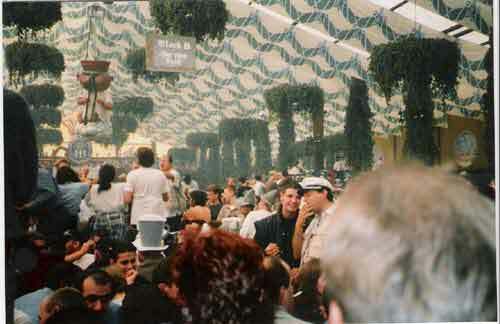 The Munich Oktoberfest takes place during the sixteen days up to and including the first Sunday in October. It is one of the most famous events in the city and the world’s largest fair, with some six million people attending every year, and is an important part of Bavarian culture. 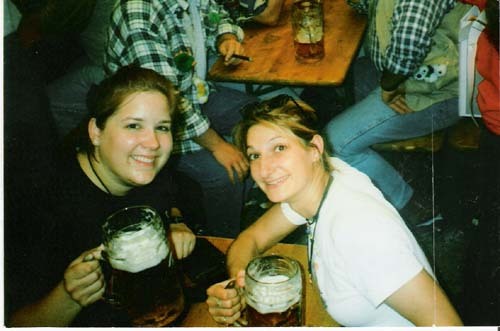 Bavarians and lots of foreign guests drink about 6 million liters of beer, consume approx. 1 million chickens, approx. 400 thousand wurst and sausages and other local cuisine, such as Käsespätzle (spaetzel mixed with melted cheese and onions), roast ox tail, and Kartoffelpuffer (potato pancakes). Thirty percent o f all the beer produced by Bavarian breweries is consumed during this festival. The Oktoberfest is a lot more than just eating and drinking. 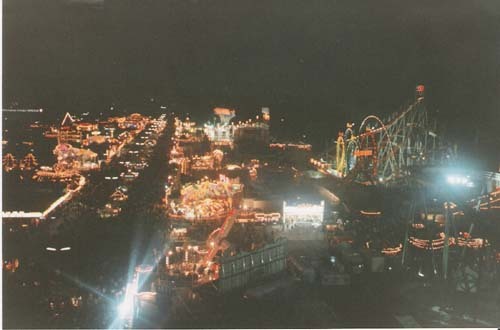 You may be surprised to hear that there are lots of amusement park rides and souvenir vendors as well. There are currently fourteen main tents at the Oktoberfest. The tents themselves are non-permanent structures that are constructed for and only used during the festival. The beer (or wine or champagne) served in each is brought to an accompanying table by women in Dirndl (traditional Bavarian dress). These women can carry up to 12 heavy Maßkrüge (a Maßkrug (aka Maß) is a 1-liter beer mug, plural: Maßkrüge) at once. It’s amazing. Seating can be hard to come by, because many people reserve space in tents up to a year in advance. More than 6 million people come to the Oktoberfest, and there are only about 100,000 available seats. If you want a seat, come a little later in the day or try your luck in one of the tents without a line, like the Spaten or Hippodrom tents. You should fight the urge to take one of the Maßkrug home with you. The Maßkrüge are made from heavy glass – really heavy glass so they are not a good souvenir for backpackers! – and typically have a decorative brewery logo on the side, making them very popular souvenirs among visitors. Although it is strictly forbidden to steal the mugs, they can be purchased in the tents at a “reasonable” price. Buyers are strongly advised to keep the receipts because police are known to search them for stolen mugs even away from the fest area. When police catch someone stealing a mug, the thieves may be fined up to €50. There is also a general Oktoberfest souvenir mug that features that year’s Oktoberfest poster. This one is made of clay instead of glass and is available with a tin lid. For those of you heading to the Oktoberfest in Munich, here is a fun little Wiesn dictionary for you. I’ll miss the tapping in Cincinnati, but in just a few hours many people will be hearing O’zapft is! (it’s tapped!) in Munich. 9/22/08: For photos of our weekend at the Zinzinnati Oktoberfest, click here! Unfortunately, the sausage in Cincinnati is sadly lacking. They consider Weisswurst to be a Brat and sell something called Mett, which is nothing like the Mettwurst I am familiar with in Germany. German Mett is raw minced pork and is usually served on bread rolls (Mettbrötchen) or sliced bread, frequently with a garnish of raw onion rings or diced. Not my cup of tea, but my sister loved it. Cincinnati’s Mett is more like a kielbasa. The pastries like Bienenstich, chocolate mousse cake or Schmidt’s Jumbo Cream Puffs were to die for though! And of course the beer was awesome! One gem is the Hofbräuhaus in Newport, just across the river. I felt like I was at my favorite beer garden in Germany (Schaumburger Hof). There were even real Germans there 🙂 It’s an absolute must for German culture fans! I’ll definitely be back! I’d like to go to Oktoberfest in Germany some day. A Germany trip would be good motivation to revive my moribund German.